Produce high-quality coatings without any substrate warping. Vacuum-free, compact, and portable - perfect for busy labs with limited space. Part of the Institute of Physics award-winning Ossila Solar Cell Prototyping Platform, the Ossila Spin Coater offers the ideal spin-coating solution for a busy lab where space is at a premium. 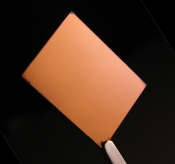 Spin coating is a widely used and versatile technique for depositing materials onto substrates with accurate and controllable film thicknesses. The Ossila Spin Coater is compact and highly affordable, allowing everyone to implement spin coating in their research. It offers high-quality coating without the issues of substrate warping. As it does not require a vacuum pump or nitrogen line, it is truly the ultimate plug-and-play spin coater. Its compact size and reduced need for servicing enables you to optimise space in the glovebox or on the bench — without compromising on functionality. Designed to reduce substrate warping, improve film quality & eliminate the service requirements necessary with vacuum/nitrogen lines. The spin coater is priced at just £1950, and comes with one FREE spin coater chuck. Please indicate which of our range of stock spin coater chucks you would like when placing your order. If you want a custom-milled chuck to fit your own substrate system, please contact us to discuss options (custom chucks are £50 extra with the purchase of a spin coater). We also provide a FREE 2-year warranty to get you working again quickly, in the unlikely event of repairs being required. Where do I start with spin coating? The majority of spin coaters in the market use vacuum pumps to hold the substrates while they spin. Unlike the rest, the Ossila Spin Coater features an innovative chuck that does not require a vacuum. Instead, substrates are held in place by recesses cut into a polypropylene chuck, allowing excess coating material to be drained away. Ossila Spin Coater Chucks hold substrates in place without vacuum, keeping them safe & secure. Custom Spin Coater Chucks can be ordered to fit substrates of any shape. Thin substrates are likely to be warped inwards by vacuum chucks, affecting coating uniformity. The force of vacuum on the solutions deposited on top of porous substrates such as ceramics also leads to inhomogeneity. This reduces the quality and performance of devices. Ossila's vacuum-free chucks ensure an even film distribution by keeping your substrates flat and free from damage - even if they are flexible substrates. Compared to a regular spin coater, Ossila's vacuum-free spin coater gives a even film distribution. Vacuum-fed spin coaters can only be set up where a vacuum line is available, and are likely to remain where they are set up, taking up space even when not in use. By not needing a vacuum line, the Ossila Spin Coater can be set up anywhere with a single mains socket. The same Ossila Spin Coater can be used on the benchtop, in a fume hood, and a glove box - all in the same day if needed, thanks to its easy setup and compact size. Most spin coaters are burdened by the hidden cost of vacuum pumps that are usually excluded from the full system price. Vacuum pumps are prone to breaking, resulting in expensive repairs and delays. This is mainly caused by excess solvents being sucked into the vacuum line, damaging the internal components. Short-term and long-term costs can be reduced by using the vacuum-free Ossila Spin Coater, which gives you everything you need to start spin coating - at the all-inclusive price of £1950. Space-saving design – With a base footprint of only 22.5 x 17cm, there is always space to fit an Ossila Spin Coater in your lab. Whether you need to remove it from your fume hood daily or store it in your glovebox, it is is small enough to meet your needs. Easy to install - With no vacuum or nitrogen line to connect, simply plug the spin coater into a power socket to get started on your research. Full control – Spin speeds range from 120 to 6000 rpm, covering a range of different spin coating conditions - from slow dry crystallisation, to ultra-thin films. Moreover the inbuilt control system allows you to have a maximum of 10 separate user profiles - with each profile capable of saving 10 recipes with up to 50 steps. All this makes our spin coater perfect for anyone that has to share equipment in a busy lab. Fewer variables, better films – The inbuilt spirit level and adjustable feet ensure a flat spinning axis, and the vacuum-free chuck prevents warping in thin substrates. Both factors lead to better uniformity in films - and better device performance. Low Maintenance – Spin-coating systems that use vacuums are susceptible to becoming damaged, and have complicated repair procedures. The Ossila Spin Coater has the minimum number of require moving parts, no vacuum, and a 1-year warranty, so your research is unlikely to be disrupted by equipment failure. Lab-proof – The robust steel casing, toughened glass lid, and solvent-safe polypropylene insert and chuck mean that the Ossila Spin Coater is resilient and ready for use in a working laboratory. Safety First – The spin coater is powered by a 24 V DC power supply, so no high voltage or specialist power with additional requirements is needed. Shielded from solvents and tampering, there is a magnetic safety switch that stops the chuck from spinning when the lid is open. Solvent-Safe - The intuitive Spin Coater keypad is covered in a protective FEP film. Our Spin Coater has an inbuilt spirit level and adjustable feet to ensure even coverage. Compact - The Ossila Spin Coater has a very small lab footprint. Video demonstrating the spin coating of small and odd-shaped substrates that are often difficult to coat using a standard spin coater. A frequently-asked question when working with flexible substrates is "How do I spin-coat flexible substrates for reference devices?". 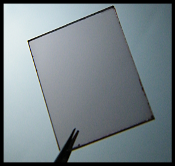 This is difficult to achieve using normal spin coaters, as the vacuum warps the substrate and creates an uneven film. The video below demonstrates the Ossila Spin Coater being used with flexible PET substrates (used in the production of flexible OLEDs or photovoltaics) at maximum RPM - resulting in an even coating without any damage to the substrates, thanks to the vacuum-free chuck. Video - Spin Coater working with flexible substrates; the substrate remains securely fastened to the chuck, even at very high speeds. Spin coating is often used as the starting point and reference for many thin-film processes - even if they will eventually get mass-produced using printing-based techniques. Start spin coating devices in your lab: read our spin coating guide, our guide to film thickness, or contact our spin coating experts. 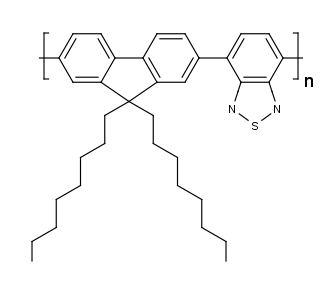 Specific techniques useful in organic electronics and nanotechnology. As with all our products we want to make sure that the Spin Coater is as useful to you as it is to us. We use it in our own R&D labs with a range of organics, inorganics, photoresists, metal oxides and more. We are experienced in spin coating and are happy to share our tips and tricks - simply contact us if you wish. Please also refer to our Spin Coating Guide, which provides details on everything from special spin coating requirements for organic electronics and nanotechnology, to dispense techniques, spin cleaning, and more. For further technical information, our Spin Coater User Manual is available to download, or you can contact our technical team. For custom or extra Spin Coater chucks, please visit our Spin Coater Chuck page. Various materials we have deposited with our vacuum-free Spin Coater (from left to right): F8BT, PCBM, and P3HT thin films. "We recently purchased an Ossila Spin Coater. Its compact size and vacuum-free system is ideal for our rather over-crowded laboratory and it has enabled us to prepare a series of high-quality block copolymer thin films. The Ossila chucks make it easy to use different-sized substrates at speeds of up to 6000 rpm. We have programmed several different spin cycles using the straightforward user-interface, which allows systematic variation of the copolymer film thickness with good reproducibility. The instrument is very easy to clean as the chucks, bowl and glass screen are resistant to a range of solvents. In addition, the glass shield protects the surroundings from any excess solution and the instrument stops automatically if this shield is inadvertently raised during a cycle, which is a useful safety feature." Do you have an Ossila Spin Coater in your lab? You can now leave testimonials online to help your fellow researchers make informed decisions!